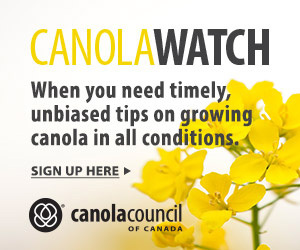 The Canola Council of Canada’s sustainability targets include a goal to have 50 per cent of canola production acres under 4R Nutrient Stewardship by 2025. 4R Nutrient Stewardship is a framework encouraging growers to use the four ‘Rights’: Right Source at the Right Rate, Right Time, Right Place. The principle is to use nutrient sources that the crop needs and can take up, apply them at a rate to match crop use, apply them at the right time of the season to minimize losses and be available when the crop needs it, and put them in the right place to minimize loss and maximize crop access to the nutrient. 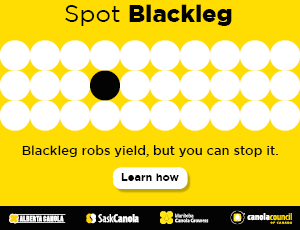 The Canola Council of Canada’s sustainability targets include a goal to have 50 per cent of canola production acres under 4R Nutrient Stewardship by 2025. Canadian farms following the 4Rs can submit their acres under the 4R Designation program described at fertilizercanada.ca. Following the 4Rs will lead to improved nutrient use efficiency, which is good for business and for soil health and air and water quality. Implementing 4R Nutrient Stewardship across all acres in Western Canada will lead to a one- to two-million-tonne reduction in greenhouse gases, which is equivalent to removing 215,000-430,000 cars from the road annually. Regardless of fertilizer source, growers can reduce greenhouse gas emissions and increase crop yields by applying nitrogen fertilizer bands as close to the seed row as safely possible and deeper than the seed row to ensure that the crop accesses applied nitrogen early in the growing season. Applying phosphorus fertilizer as an in-soil placement at the recommended rate reduces runoff (as much as 75 per cent) while increasing economic efficiency and profitability. Broadcasting in the fall without incorporation can greatly increase the risk of phosphorus in snowmelt run-off. This is an especially important observation for large-acre Prairie producers who may be trending towards broadcast methods. What key 4R principle is not being done enough in Western Canada? A key 4R Nutrient Stewardship principle that needs more attention is enhanced efficiency fertilizer (EEF) nutrition placed in the right places at the right rates. The sticker shock of new EEF products might turn off some farmers, but these products need to be discussed with a return on investment (ROI) mindset. EEF products and the placement of these products are more important today than ever before. Our traditional canola nutrition practices were researched and developed for older generation canola genetics. Canola genetics have evolved, and the nutrition consumption habits of these new generation varieties need to evolve as well. I apply NH3 in the fall but wait until the right time, which is after October 15 when the soils are cold. NH3 is a right source because it binds with soil particles and is less likely to be lost. The right place is banded into the soil. I direct seed in the spring with a paired-row opener, which keeps good separation between seed and fertilizer (right place). One thing I’d like to do is remind growers on why they have new technology. Today’s drills can apply precision rates, eliminate overlap and provide precise placement for good seed and fertilizer separation. Broadcasting nitrogen is an old fertilizer practice and contradictory to the reason we have this new technology. As for the many certification programs in front of us, farmers will sign up when the return covers the additional costs to administer. Whether in a program or not, farmers will seek out and use proper crop nutrition principles that will improve profits. The high input cost of fertilizer will motivate people to do the right thing. For me, at $0.50 per pound for nitrogen, I don’t want to lose one pound. I also want to choose rates that provide a strong return on investment. I will not apply fertilizer that returns only $1 for each $1 spent. I want to spend $1 and make $3.